Charm of Rhu is an International 8 metre cruiser/racer built in 1963 for Willie Lawrence, a local builder, to race on the Clyde. In all 23 boats of this class were launched between the first 1951 (Sonda) and 1968.They are celebrated in the Royal Northern and Clyde Yacht Club at Rhu on the Gareloch where pictures of the boats adorn the walls. The majority were built by McGruer of Rosneath. Charm of Rhu was designed by Archie Macmillan who was William Fife’s protégée and took over the yard at Fairlie on his death. She is the second of only two 8 metre C/R’s built in the Fife Yard at Fairlie, the other being Pinto. We believe Charm of Rhu is the last Fife yacht ever launched as the yard then closed. 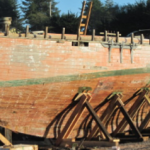 Boats have been continuously built in the yard at Fairlie for 174 years since 1790. 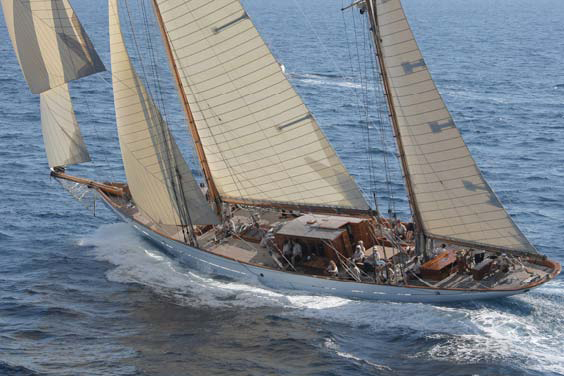 The distinctive dragon cove line has been adopted by Fifes since 1889 when the yacht Dragon was drawn. In her early days, probably because she did not win enough races, Charm of Rhu changed hands frequently until bough by John Hart in the 1980’s. He kept her for ten years in Barry, South Wales and used her for sail training. Below decks we still have a board reminding us that port gives way to starboard. Charm of Rhu is of carvel construction from mahogany on Canadian rock elm with teak decks and a lea keel. 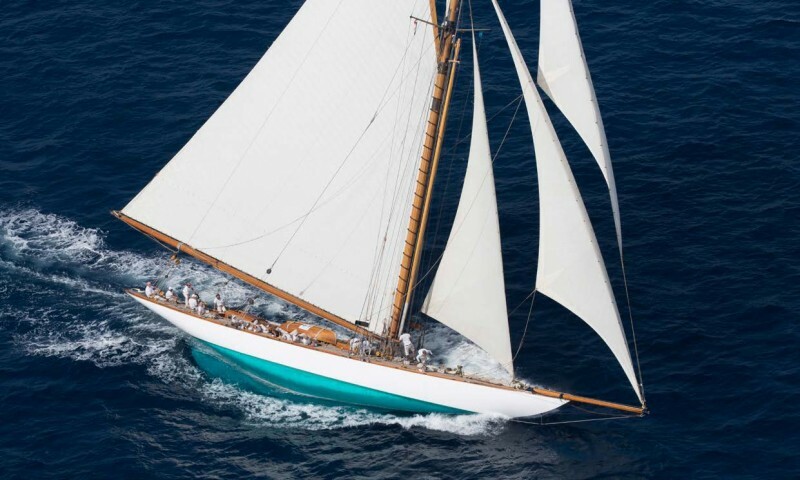 She was launched with alloy spars as a masthead Bermudan sloop. A Watermota Sea Panther was installed in 1975 and continues to function most of the time. 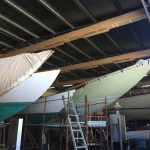 A steady and continuing refurbishment has occurred over the past 7 years, initially at Berthon, Lymington and more recently at Mylor Yacht Harbour, Falmouth. New work includes a hand-built mahogany main hatch and sternhead, new teak deck hatch, replaced keel bolts, gearbox, prop shaft and cutlass bearing. In 2001 she was completely refastened and resplined and in 2003 had a new mahogany transom and was redecked in teak. 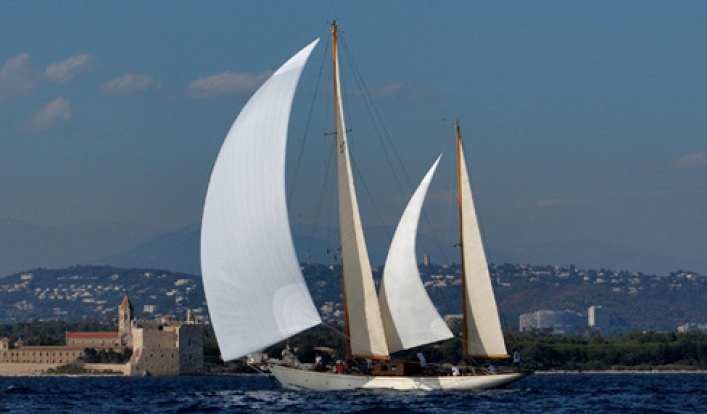 The heavy weather sails are original 1960’s, the mainsail 1986 and the 1998 genoa relatively modern. Down below, the new heads, galley and water tanks together with repairing the leaks, have helped keep the crew happy. Charm of Rhu has no illustrious racing history. Although she performed reasonably well on the Clyde, she was not one of the faster 8 metre C/R’s. 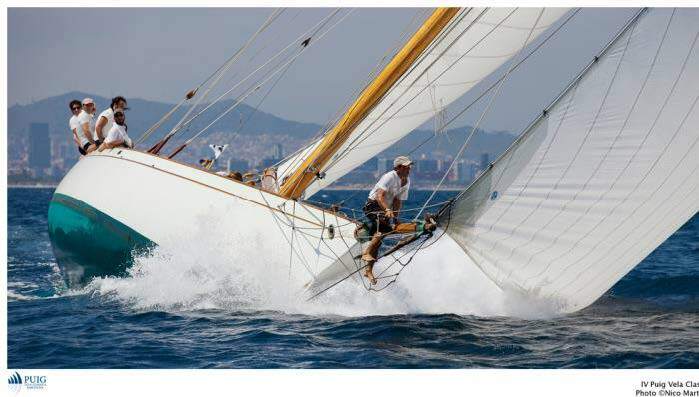 More recently, and as the only wooden boat, she has completed 3 two-handed Triangle Races coming second in class twice. In one if the race legs finished a startling second overall out of 28, an absolute and never-to-be-repeated aberration but great fun at the time. She managed 10th out of 19 in the AZAB. Currently Charm of Rhu cruises in the West Country from her swinging mooring in Falmouth harbour. 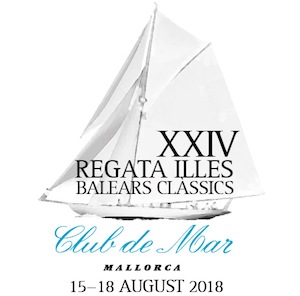 Information courtesy of The British Classic Yacht Club. LOA m / ft: 12.77m / 41' 9"
LOD m / ft: 12.77m / 41' 9"
LWL m / ft: 8.9m / 29' 2"
Beam m / ft: 2.95m / 9' 7"
Draft m / ft: 1.95m / 6' 4"